I keep copies of all versions of my slides as they are presented at events around the country and the world. I do my best to keep these files as small as possible by not embedding all the videos and other content that is part of my lectures and trainings. 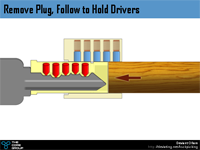 If you are viewing one of my presentations and wish to have these additional files, they are available on the resources page. This is the PowerPoint slide deck that i created to help TOOOL give presentations at the Lockpick Villages we have at security and hacker conferences. 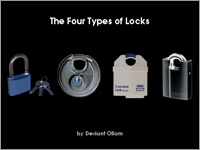 This talk, "The Four Types of Lock," was first presented to the Secret Service. 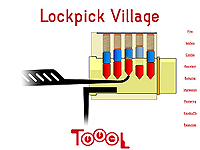 It assesses the differences between basic, commercial, high security, and nearly unpickable locks. 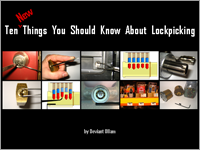 This is my "Ten Things Everyone Should Know About Lockpicking & Physical Security" talk which covers the most popular material in a one-hour format. 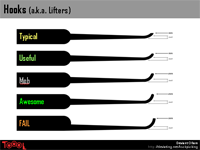 A constantly-revised and often-quoted presentation about handcuffs, this highlights many of their weaknesses and showcases the TOOOL "Universal Cuff Key"
First presented at the HOPE conference in New York, this talk showcases many locks found in hotels... some that you encounter often, others that you're not supposed to see. Presented at ShakaCon and HOPE, as well as during various Lockpick Villages, this presentation shows Matt Blaze's "Master Key Privilege Escalation" attack in great detail. I did a small workshop about how to service and disassemble locks. These are the slides from that workshop. Maybe they will help you peek inside of some hardware. 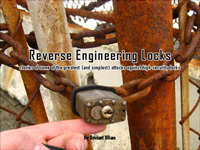 First presented at ReCon, this was a talk i gave that told the tale of how some of the world's most popular locks have been examined and proven weak. 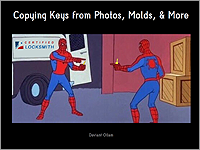 Slides from the "Keyed-Alike" talk that Howard Payne and I did, discussing how industrial standards and sourcing often cause many lock systems to use the same keys. 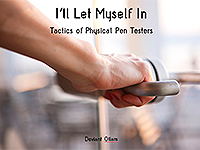 My presentation about the real-world tactics of Physical Penetration Testers. 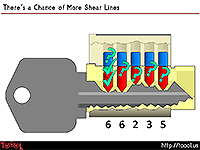 We don't often pick locks... why bother to do so when there are far faster ways through most doors? 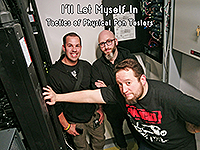 This is an update to my popular "I'll Let Mysef In" presentation, almost exactly one year after I first presented this talk in November of 2016, now with more war stories and additional tips about tools I carry everyday. The term "Red Teaming" is over-used and often misapplied. 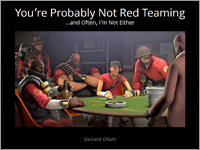 In this talk, I offer up a straightforward metric for untangling these terms, and then share tips, stories, and advice on tools that can help you in future Pen Tests or (if you’re truly performing them) Red Team Engagements. 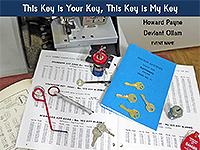 My presentation about ways that it is possible to decode the bitting and pinning details of locks and produce duplicate keys for surreptitious entry, many times without having direct access to the original keys in the first place!